Greetings folks, it’s been awhile again. I’ve been pretty busy with a bunch of stuff, and I’ve been able to make a few cocktails again. These two were for a winter cocktail contest hosted by Heavy Table and sponsored by the fine folks at Du Nord Craft Spirits, Gamle Ode, and Bittercube. I did not make the semifinals (congrats to all those who did), but I still enjoyed making these, and boy are they tasty. Let me know what you think in the comments, on twitter @larix_laricina, or via email at alex@stagandotter.com. Thanks! Combine ingredients in a mixing glass, add ice, and stir well to dilute and chill. Strain and serve up with a thick lemon twist as a garnish. Combining the powerful aroma of roses and the subtle sweetness of Du Nord L’etoile vodka, the First Frost’s Kiss takes advantage of one of our winter’s first gifts: wild rose hips. Best picked right after the first frost, this fragrant fruit can be found throughout the northern midwest, and it can be dried for use in teas, syrups, and jams year-round. First Frost’s Kiss is light and cold on the tongue, but the floral aromatics quickly fill your nose, reminding you that winter will eventually give way to spring’s embrace. The lemon juice is there to provide balance, tempering the sweet and warm with a little acid and a little tartness, preventing the drink from being cloyingly sweet. The Bittercube orange bitters serve to enhance the nose of the cocktail, adding warmth and depth without overpowering the other flavors. A quick note on preparation: while it is customary to shake cocktails with fruit juice, I recommend stirring the First Frost’s Kiss. I’ve found the nose of the rose syrup is lessened by shaking. Also, the cocktail looks better crystal-clear in candlelight. To that end, I also strained my lemon juice through a cheesecloth. *: If you have access to rose hips, I suggest using the recipe detailed here: https://www.rivercottage.net/recipes/rosehip-syrup. If not, rose petals will substitute in a pinch (although the flavor will be slightly more floral and less fruity). For rose petal syrup, combine 1 cup sugar and 1/2 cup water in a small saucepan. Once the sugar is fully dissolved, add one cup of rose petals with the bitter white end removed and the rest of the petals roughly chopped. Let the petals steep over low heat for about 15 minutes, then strain. Place maple sugar in the bottom of a mug. Soak the sugar with the bitters, then add 1oz of the hot water to dissolve. Add the aquavit and the garnish. Add the final 1oz of hot water just before serving. 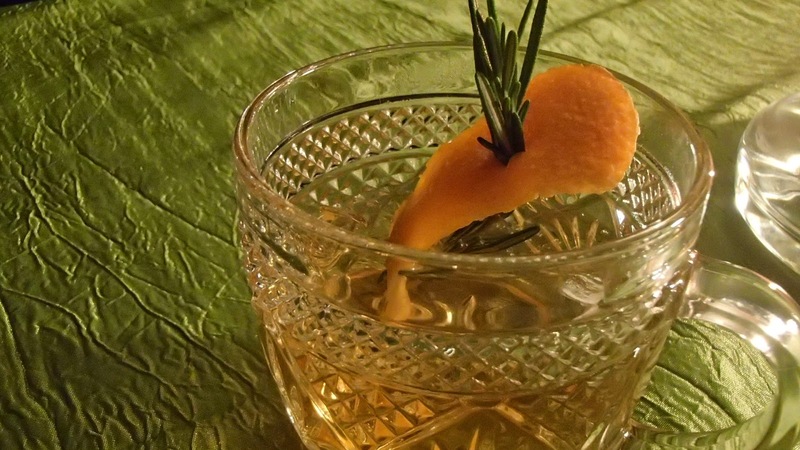 Nothing beats a hot toddy to warm you up on a frigid winter’s evening. Using Gamle Ode Celebration aquavit instead of the traditional whisky, the Ode to Oslo evokes sitting in a Scandinavian sauna. Maple sugar adds a warmth that isn’t found in conventional granulated sugar. The nose is inviting and warm. The hot water awakens the aromatics in the aquavit and garnish. On the tongue, caraway and citrus appear first, quickly fading to reveal the warm vanilla and maple beneath. 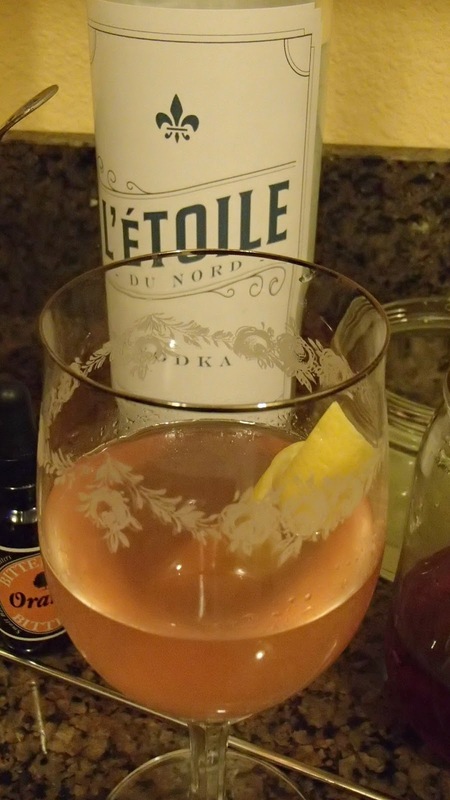 The earthy cherry from the bitters really rounds out the drink, enhancing the anise in the aquavit. The finish is herbal and strong, enough to keep you warm through whatever the Minnesota winter can throw your way. Simply, the Ode to Oslo is hyggelig embodied.